April 2009 Meesh was on his way back from his grandma’s house in Lweibdeh when he spotted a cool abandoned shop tucked into a nook on Baouniyyeh Street. The store was run down. Wasn't touched in years. Dust covered the dust. 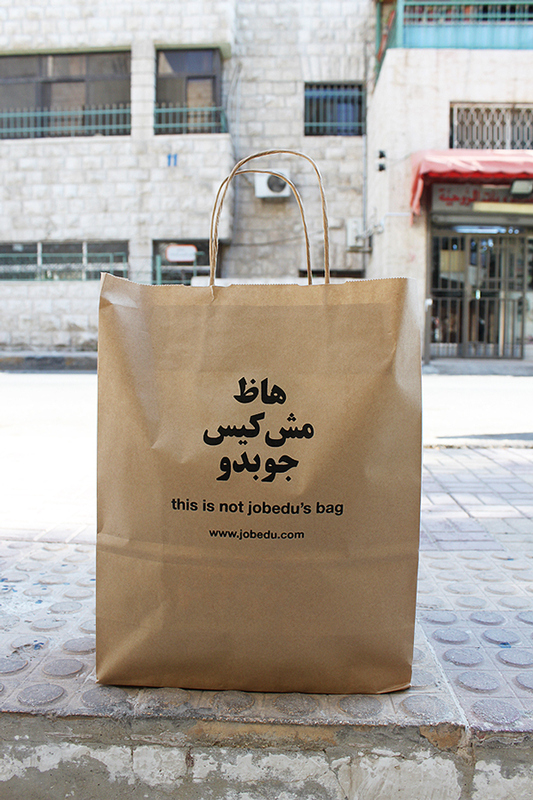 But it was the perfect spot for Jobedu to set shop. 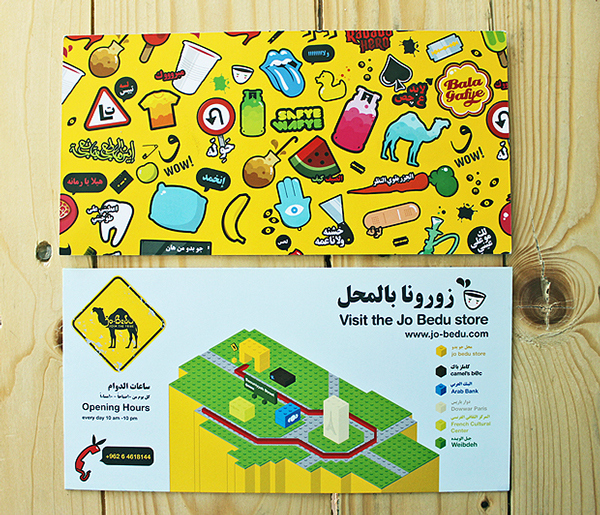 After two months of cleaning, knocking down, painting and lots of fun with family and friends, Jobedu’s yellow store came to life on June 15th 2009. Finally, after two years of home deliveries we had an address we can tell people to visit us at. 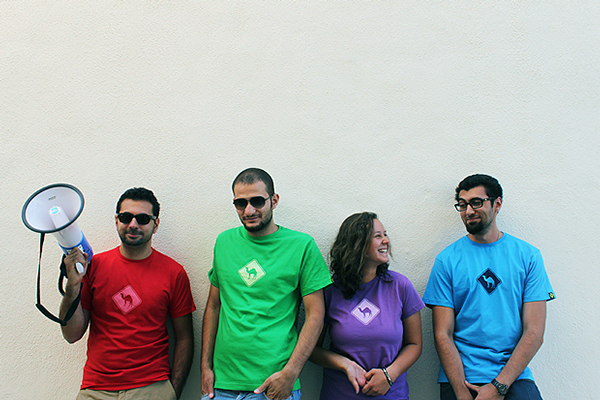 One of the visitors was Warsheh cofounder and designer Mothanna Hussein, who had won on our Amman-T t-shirt design challenge for his Taxi Prince design. Mothanna saw potential in the brand, but it was far away from having a structured and developed visual identity. I started working closely with Mothanna to develop this identity, refining the camel, developing the Arab pop culture icons that became our store sign and setting Jobedu on its path to discover its visual identity.